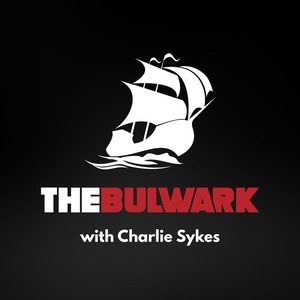 We found 10 episodes of The Bulwark Podcast with the tag “trump”. Christian Vanderbrouk joins Jim Swift and host Charlie Sykes to discuss what a Trump second term might look like, and the growth of radicalism in the GOP. A.B. Stoddard joins host Charlie Sykes to discuss her story about Johnny Isakson's rebuke of President Trump, why Lindsey Graham isn't sticking up for his lifelong friend, A.G. Barr's letter on the Mueller Report, the two gifts recently given to Democrats, and why the Trump administration pivoting to Obamacare repeal has become a political nightmare for Republicans. What Now for the Mueller Report? Kim Wehle joins us to discuss AG Barr's letter to Congress and what's next for the Mueller Report. Carrie Cordero from Center for a New American Security joins host Charlie Sykes to talk about Congress's termination of the president's national emergency declaration, the status of the Mueller probe, and Paul Manafort and justice. David French joins host Charlie Sykes to discuss GOP victories pre-Trump, how they botched the repeal and replacement of Obamacare, and what the future holds for the Pro-Life movement. Plus, the how the law of group polarization is taking effect in the wake of the Rep. Ilhan Omar, Tucker Carlson, Jeanine Pirro and others. Tim Carney from the Washington Examiner and American Enterprise Institute joins host Charlie Sykes to discuss his recent column "The Holy War Over Trump" and his recently published book, "Alienated America." What's a Libertarian to Do? Reason magazine's editor-at-large Nick Gillespie joins Jim Swift and Charlie Sykes to discuss CPAC, conservatism, the fate of fusionism, and the future of conservatism and libertarianism in the age of Trump. David Priess from Lawfare joins host Charlie Sykes to discuss the Mueller Investigation, what we know the Russians did, and how they did it, Michael Cohen's Tuesday hill testimony, the vote to terminate President Trump's declared national emergency, and his trip to Vietnam. Will We See the Mueller Report? Kim Wehle joins host Charlie Sykes to talk about the apparent beginning of the end of the Mueller Investigation. Will we see the report? She also discusses the revelations in Andrew McCabe's new book, as well as the legal matters behind President Trump's recently declared national emergency. David Priess joins host Charlie Sykes to discuss his two books: "The President's Book of Secrets" and "How to Get Rid of a President."